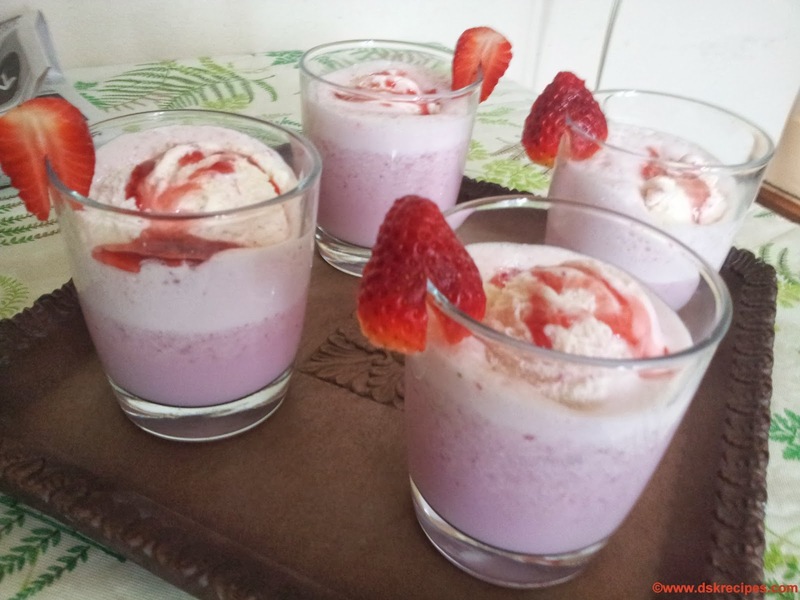 Strawberry Milkshake is enjoyed by all age groups and is easy and quick to make. But a little twist makes it more delicious. And off course a change is always enjoyed by us. So lets go ahead to see the twist in the tale. Makes 4 medium size glasses. Sugar is optional if you want to make it sweeter. If the strawberries are sweet enough to do not need sugar. 1. Wash strawberries and remove the greens from it. Chop it. 2. 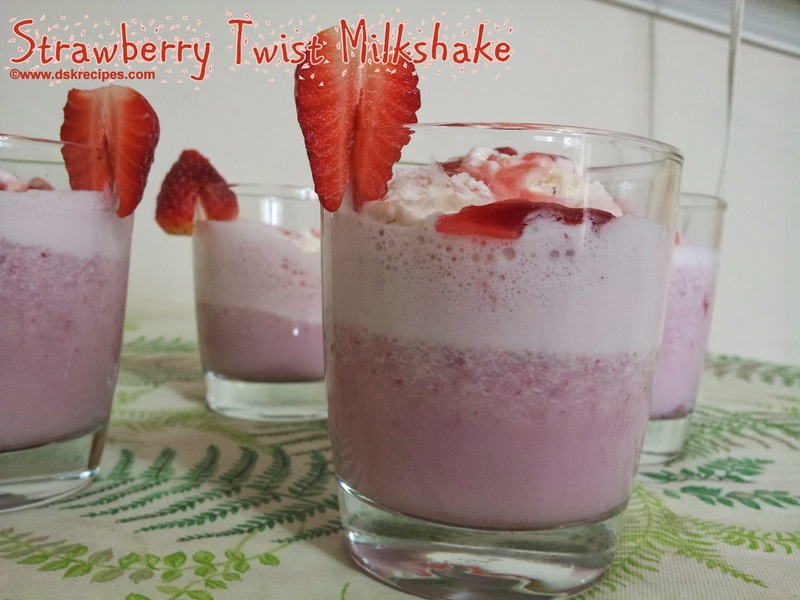 In a blender jar add milk and chopped strawberries. 3. Blend to smooth milkshake. 4. Pour in glasses. Top it with 1 scoop yogurt. 5. Garnish with some strawberry syrup. Thank you Gauri Kulkarni for sharing the recipe.